This shot is from the study to the formal dining room doors. 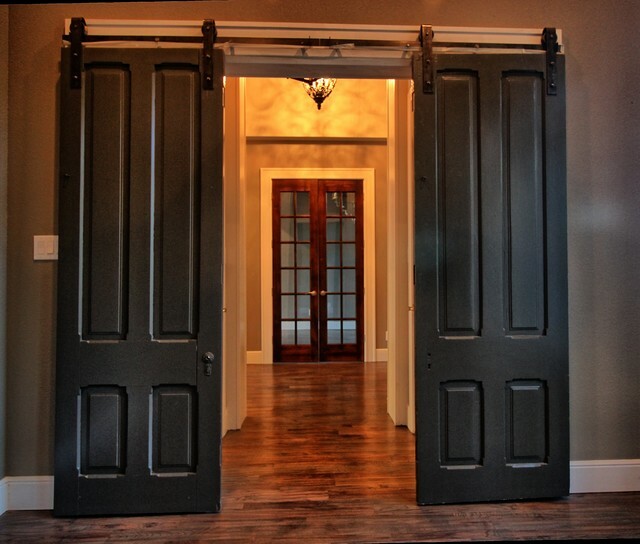 The study sliding barn doors are made from twin doors found in an old house in Fort Worth. Great use of current trends. Love the sliding doors.